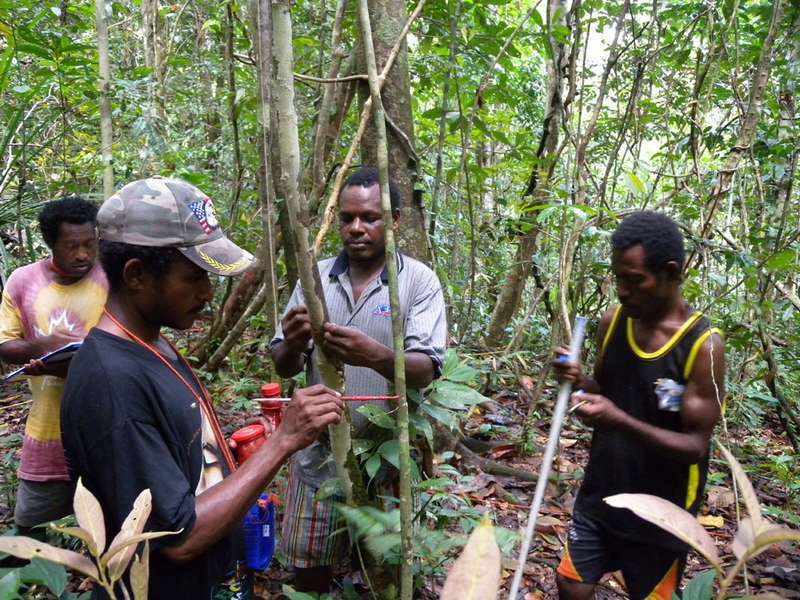 Surveying the first 50-ha permanent forest dynamics plot east of the Wallace’s line, in Wanang Conservation Area. 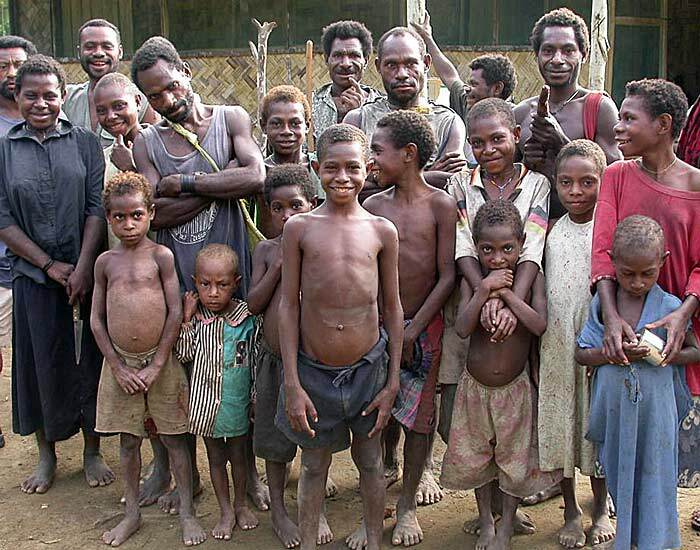 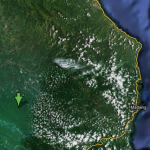 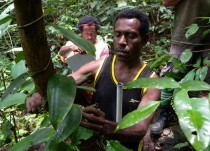 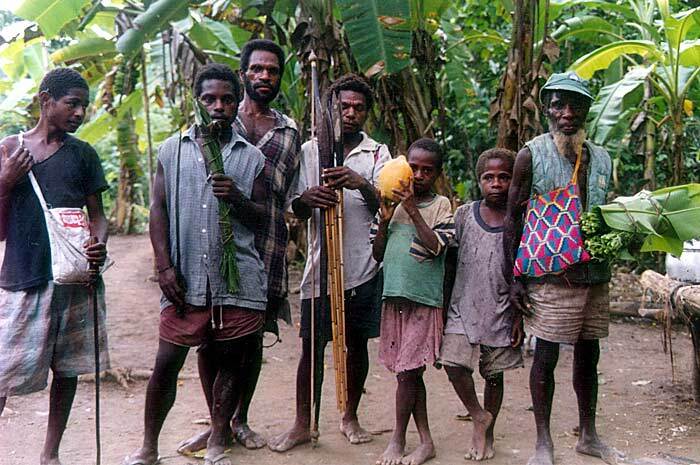 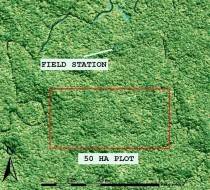 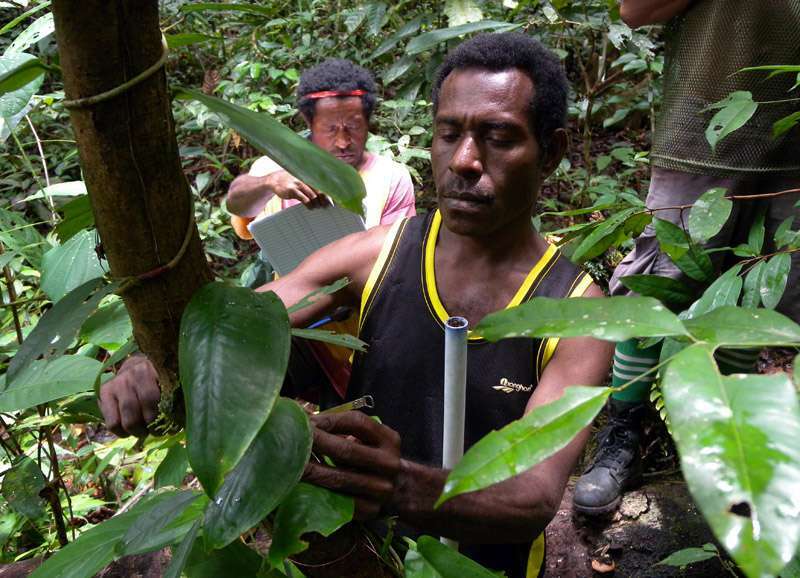 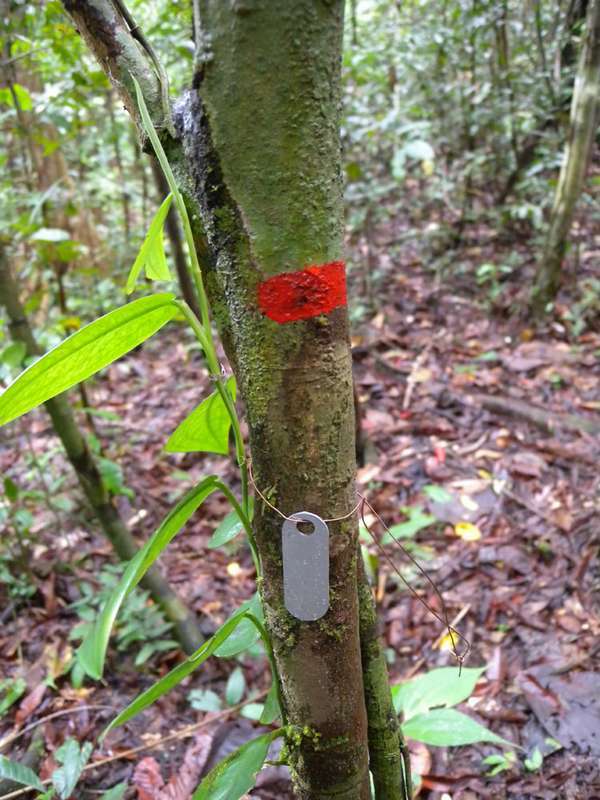 The plot, and nearby research station, are situated in pristine lowland rainforest. 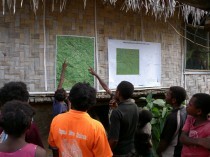 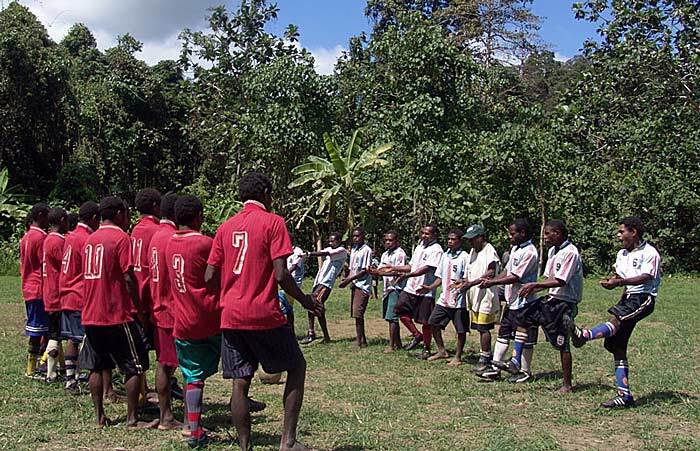 School children appear to be interested in the forest dynamics plot. 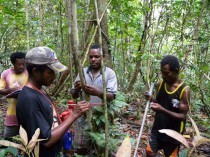 Team of paraecologists tagging all stems above 1 cm in diameter. 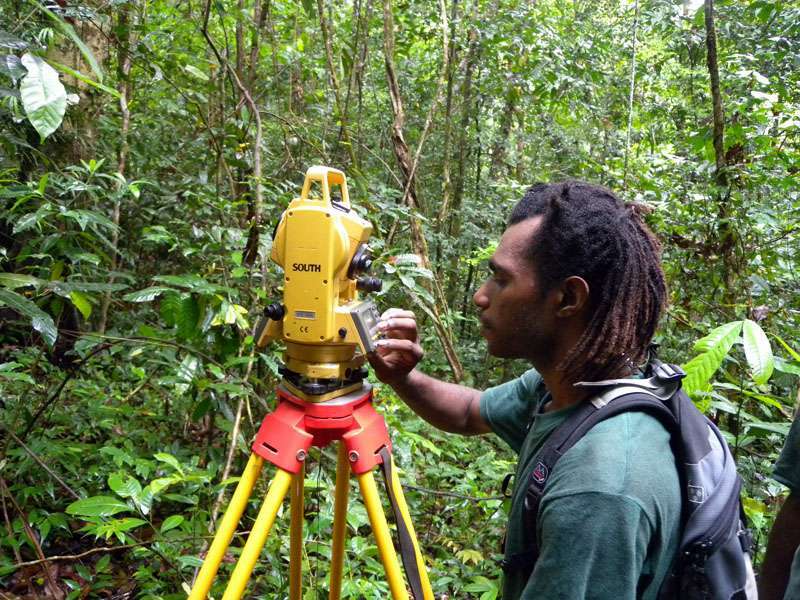 Paraecologist Cliffson Idigel setting 20 x 20 m grid over 50 ha of the forest. 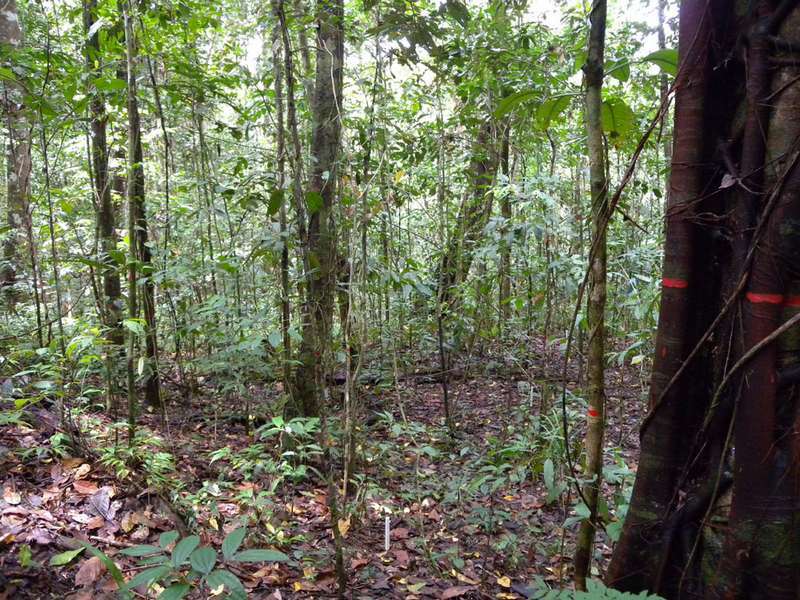 We like orderly tropical jungles where all trees have their numbers. 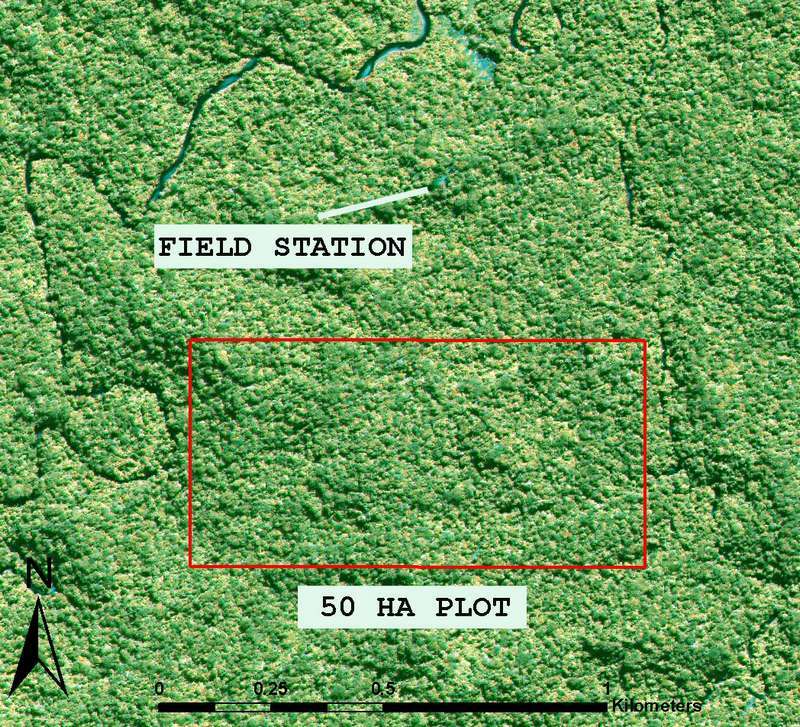 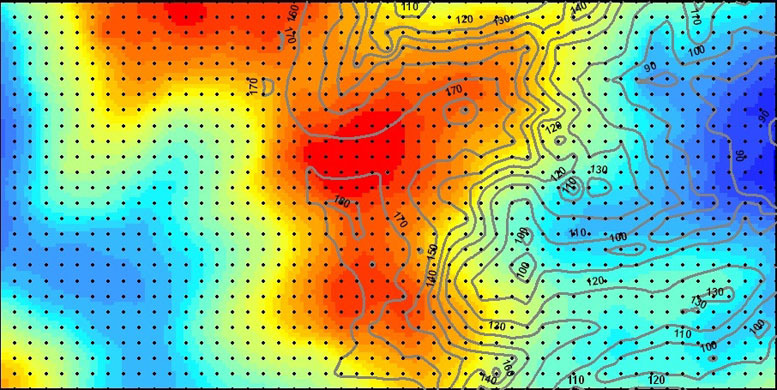 Topography of the 50 ha plot. 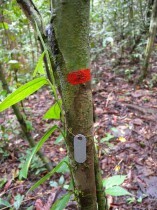 Distribution of ton tree (Pometia pinnata) in the plot. 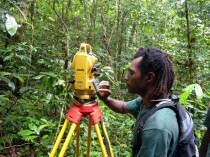 Paraecologists John Auga and Kenneth Molem in action.